After months of waiting, and what seemed like the longest flight ever I’m finally here! 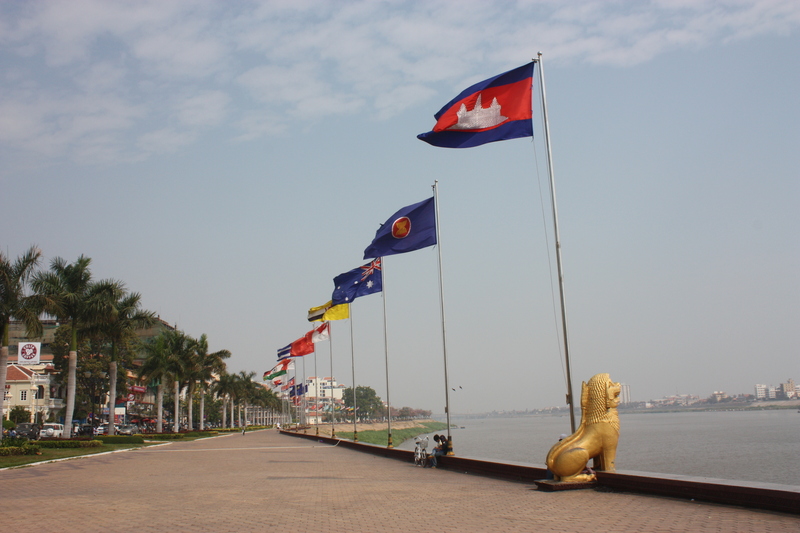 In Phnom Penh. And I’m loving it already. Mr. A and I left dreary London on Friday night, both completely exhausted for the overnight flight to Guangzhou, China. We flew with China Southern, and I wasn’t feeling too optimistic about it. The fact that the flight was £200 cheaper than all the other deals, combined with the news that the ill-fated Malaysia Airlines flight was a codeshare with China Southern really unsettled me. I’m glad on this occasion that I was proven wrong – the whole experience exceeded my expectations and left me pleasantly surprised, which is always nice! 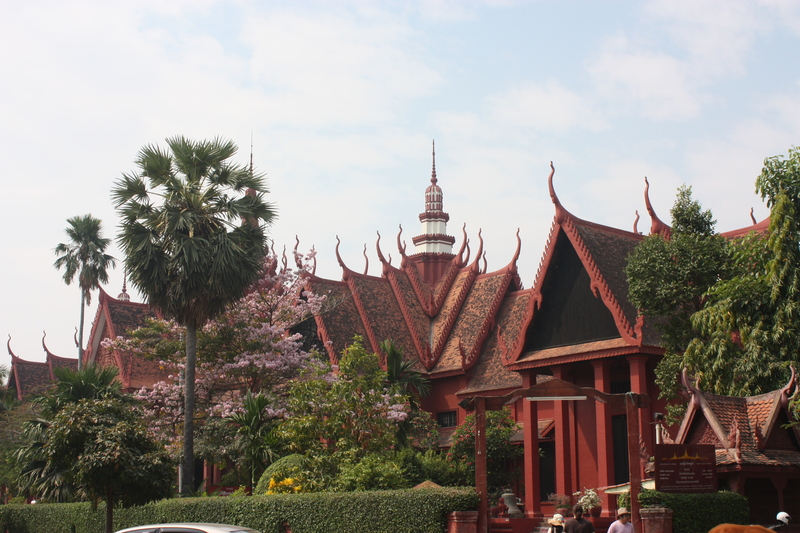 After a three hour stopover (filled with awesome dumplings and Chinese green tea) we arrived in Phnom Penh at half eleven in the evening. The visa application process was smooth, although I do recommend that if you’re intending to go to bring along a passport photo to save yourself another queue. Today we woke up at the crack of dawn to get the most out of the day, but ended up taking it fairly easy. I’d arrived the night before in a thick coat, wool tights and leather ankle boots so I’m still having to adjust to the heat! 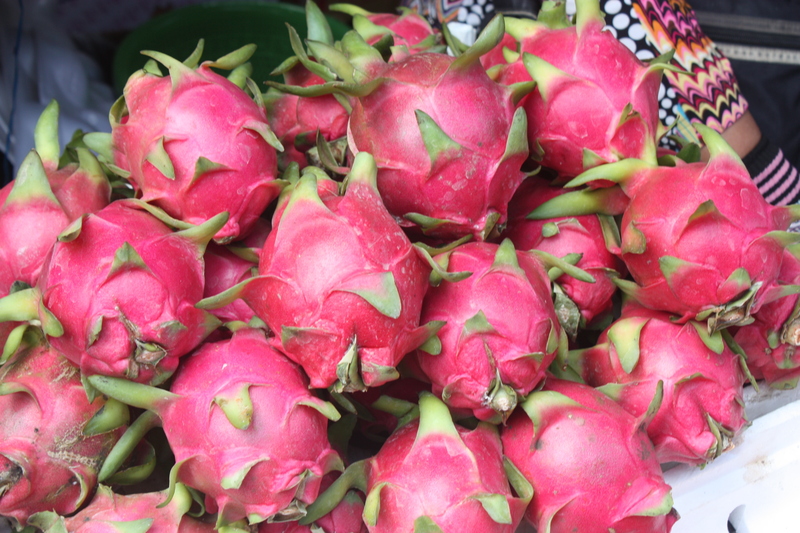 We had a lazy day of going to the local market to get fruit, walking around, drinking fresh coconut, swimming and soaking up some sun. 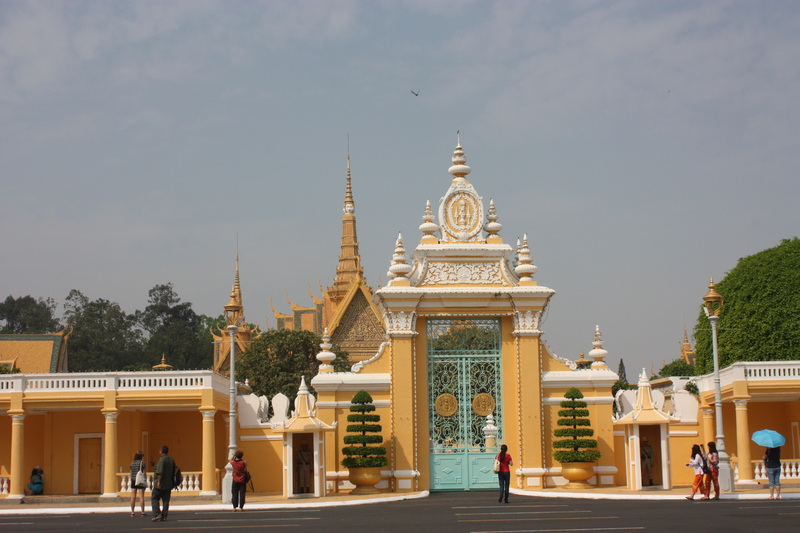 We passed the Royal Palace (above) on our way to the market. 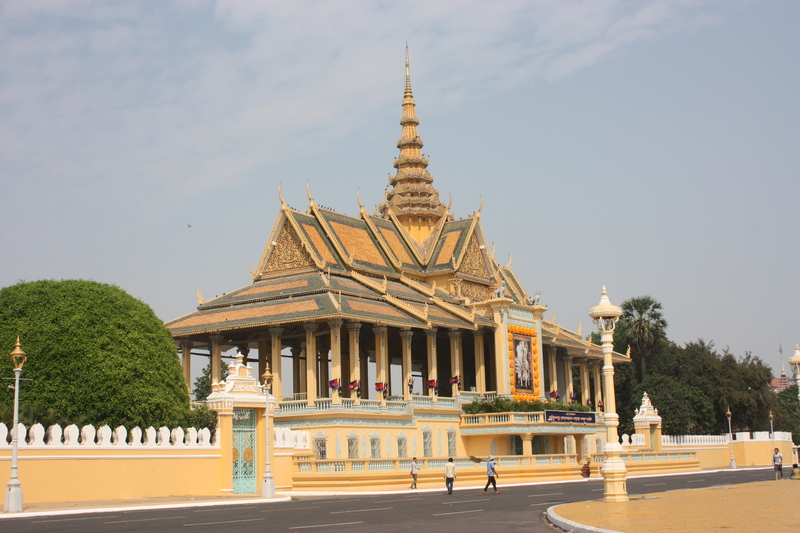 The palace faces the riverbank, right where the Tonle Sap river meets the Mekong. The local market was full of the weird and wonderful. I’m so excited to try out all the fruit – some of which I’ve never even seen before. My favourite so far are the teeny bananas. 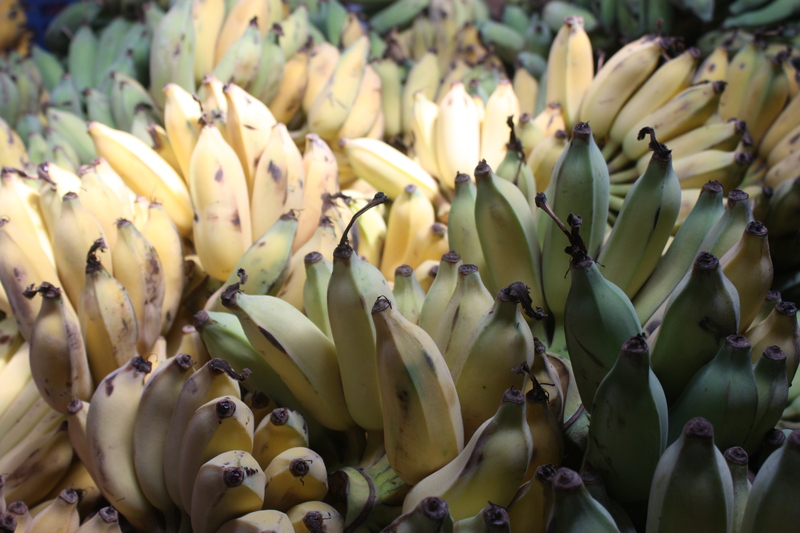 They call them ‘chicken egg’ bananas, which I love! I finished off the day by having a barbecue and catching up with old friends. Not very adventurous, I know – I’m dying to try the local cuisine. 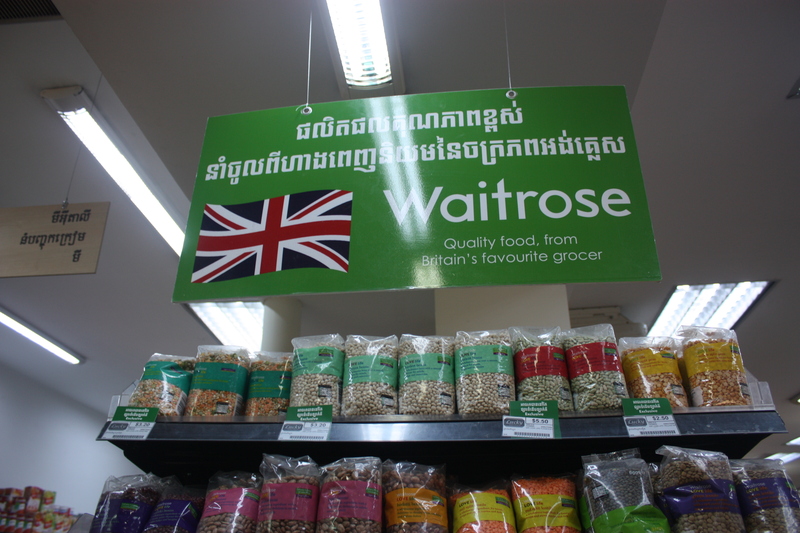 I wasn’t pleased when I popped into the supermarket to see this sign: definitely not what I came here for! I’m so excited and happy that I can’t sleep! I guess I’ll just have to get stuck in and get on with some research – I have a very important appointment tomorrow.